Play Yatzy online for free now! Yatzy is a hugely popular dice game played around the world.Thanks to the internet, the game that has a variety of different names - including Yahtzee and Poker Dice - has reached even more people who love to roll for fun. But why is Yatzy such a global phenomenon? We’ve done our research to collect everything you need to know about this game of many faces and different rules, and reveal why it has such a following on GameTwist. The aim of the game is to get the highest numbers possible with five dice to trump your opponent. Special dice combinations get you valuable extra points for the final score. What do you fancy: a Full House, a Straight or Three-of-a-Kind? Get the highest points tally! Do you think that the result of a dice roll in Yatzy is completely random and luck is the only factor? Then think again, for some combinations are more likely to appear than others. Go online and read up on this topic. You’ll find a host of probability tables that will help you see your favourite dice game in a whole new light, no matter whether you search for Yatzy, Poker Dice or Yahtzee. There are many different ways to win in Yatzy. But to achieve the highest possible score, it’s worth following a strategy that could give you an advantage over other players! Examples: When eliminating combinations, start with Yatzy, for it is particularly difficult to achieve. Or record high combinations (5s or 6s) of four matching numbers (in the upper section), instead of the Four-of-a-Kind box if both are still vacant. Perhaps you’ll be able to achieve a bonus in the following rounds. Real masters at Yatzy, Poker Dice or Yahtzee keep a cool head when things aren’t going to plan. If you stick to your strategy, you’ll maintain the upper hand in your hunt for the right numbers! Play Yatzy on GameTwist – fun on iPhone or Android (app), tablet or desktop! Visit GameTwist to enjoy the most popular online games (dice games, board games, card games, slots, classics like Mahjong and many more) against real opponents. What could be better than playing with people who love Yatzy and Co. as much as you? Every new game is a special experience, especially when it’s completely free and you can boost your Twist balance with the help of the dice. If you want to do just that and win at Yatzy online, simply register and log in. Nothing else stands between you and a record high score. Make the most of our multiplayer offer and get rolling now! The Yatzy success story continues online! was the year that saw the original Yahtzee hit the market in America. Of course, this was offline, with just the dice and a score pad. copies of Yahtzee were bought by 1973. Today, more than 50 million copies are sold per year! rounds make up one game of this brain teaser. Shake the dice like there’s no tomorrow and enjoy a trip down memory lane! Last but not least: GameTwist players also have the chance to enjoy a live version of Yatzy. 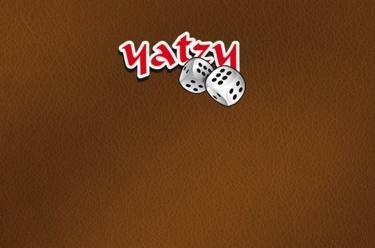 But beware, because Yatzy Live becomes a tense and action-packed experience as soon as the dice begin to roll. The board game and dice game fans of our community are loyal to GameTwist for many good reasons – and this is just one of them!